Daniels is not good finishing. Too much finesse. Did funderburk take two 3s on that possession? And we still managed to get both offensive rebounds lol. 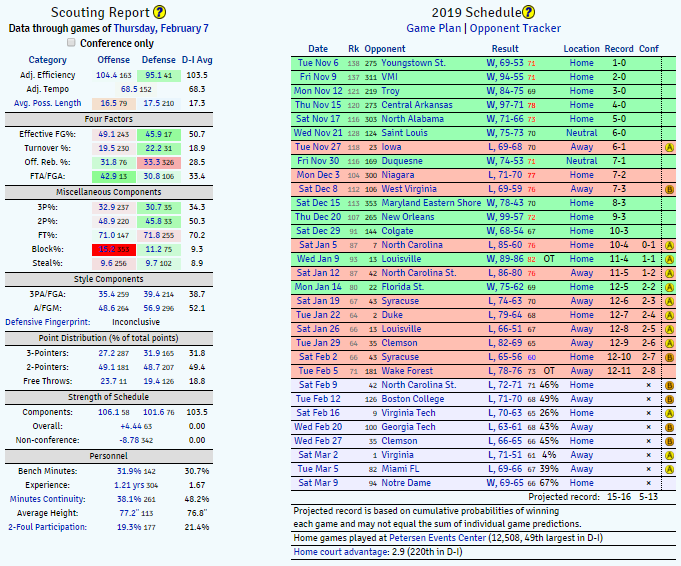 Jamie Dixon get's tanner every year. Dude gets a “charge” while already falling backwards. Comical. I'm just glad our troops or, as I call them, "first responders" are getting to watch this. This guy is 0 for 3 on predicting timeouts. This is just a bad nc state team. ^^do you not remember 2 years ago? This isn’t a bad State team. It’s just not a particularly good one. We’re just ok.
Dorn. My guy. You gotta make FTs. Finding the cloud in a silver lining I guess, but pitt just lost to wake. Bottom of the acc is pretty gross. At a minimum i think we need to be 10-8, so we hold serve at home and win in Boston. Yeah 10-8 seems like the threshold for us. Seems doable. BC twice, Wake, GT should be 4 wins. Then need to steal one from Cuse or @fsu. I feel bad for Dorn, he always gives good effort but his shot seems to be getting worse as the season goes. Markell seemed to have a good game today other than the alley oop pass that was about 10 feet too high and sailed into the crowd and the missed layup at the end when untouched. It seemed like he was more like preinjury Markell. Rewatched the game this morning. I get the impression the play by play guy now mentions calling our VT debacle before giving his name when meeting strangers. anybody know where to find a stream?